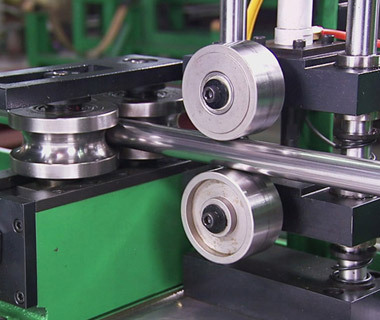 The first stage of the manufacturing process is roll forming along with a state-of-art welding technology. The TIG welding method uses electricity to obtain fusion. The heat-affected zone following TIG welding maintains good mechnical and corrosion-resistance properties than other traditional welding methods. The solution annealing process, eliminates the work hardening effect caused by cold working, and also homogenizes the structure of the welded area enhancing corrosion resistance. 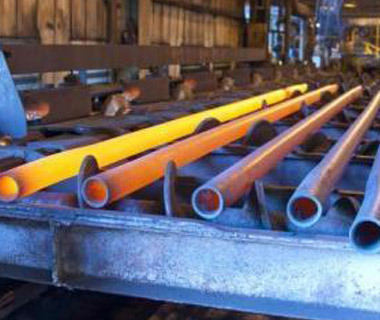 The different stages of heat treatment are carried out and the duration and speed of the tubes, are constantly monitored in order to achieve a correct solubilization. Corrosion and an incorrect roughness on the internal surface of the tubes could cause a problem for the end user. The Pickling process is carried out in a bath of acid solution so as to remove every trace of ferrous & oxidizing contamination. APT is able to pickle tubes in lengths of up to 10 meters. Pipes & Tubes can be supplied with outer polished surface of Grit 120 to Grit 600 or mirror polished surface. 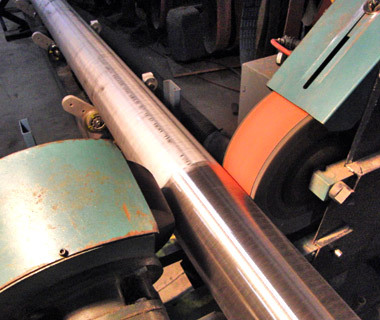 We provides interior and exterior pipe polishing, tube polishing, plate polishing and square tube polishing. 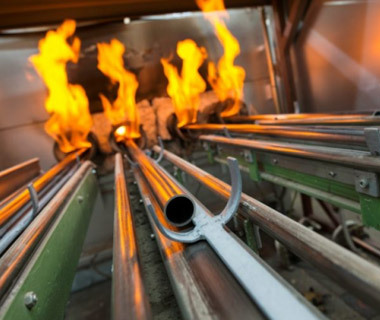 Our proprietary industrial and sanitary material finishing capabilities enable us to polish the interiors of piping and tubing with large diameters up 12 OD.